It’s likely most baseball fans didn’t even realize that Jimmy Rollins was with the San Francisco Giants at spring training this year. The 38-year-old former Phillies star signed a minor league deal with the team in December, and was a long shot to make the opening day roster. After going 5-for-42 in 17 spring games, he was informed by the Giants that he would not be making the team. If that’s a career for Rollins, it will have been a damn good one. Rollins will finish as only the eighth player in baseball history, and the only shortstop ever, to clear 200 homers, 500 doubles, and 400 steals. He’ll join the likes of Barry Bonds, Craig Biggio, Rickey Henderson, and Roberto Alomar on that list. He’ll finish with a career WAR of 46, good for 22nd all time among shortstops, right above Omar Vizquel and right behind Miguel Tejada. One thing that I had forgotten about Rollins is how suddenly and forcefully he established himself as a star. His first full season in the bigs was 2001, and at age 22 he hit .274/.323/.419 with 46 steals, 29 doubles, 12 triples, and 14 homers. He was an All-Star that year, but lost the Rookie of the Year vote due to the misfortune of debuting the same year Albert Pujols and Roy Oswalt did. That first season was the start of nearly a decade of dominant shortstop play, during which the previously moribund Phillies rose as a power in the National League, winning back-to-back pennants and their first World Series in 30 years at their peak. Rollins hit at least 30 doubles and stole at least 20 bases in each of his next eight seasons, scored at least 100 runs in five of those seasons, and won three gold gloves and an MVP award. His 2007 MVP season, which coincided with a career power surge, is still mind-boggling: 139 runs scored, 212 hits, 38 doubles, 20 triples, 30 homers, 41 steals, and an .875 OPS. The offensively gifted shortstop will always occupy a special place in the minds of baseball fans. Nobody is going to forget watching Alex Rodriguez, Cal Ripken, and Derek Jeter in their heydays. 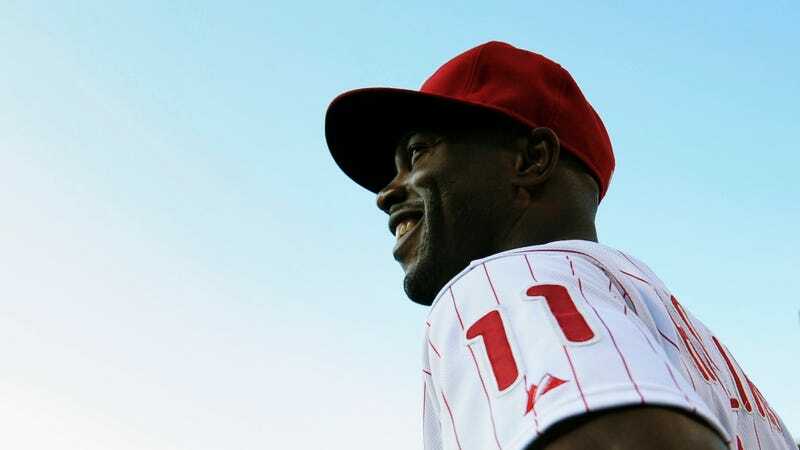 They should remember Jimmy Rollins, too, because he did all the things those guys could do, and even some things they couldn’t, and when he was at his best, not only was he one of the anchors of a genuinely great team, but there was no more thrilling player to watch. Ichiro On Retirement: "I Think I&apos;ll Just Die"